This post is not exactly fall-themed, but it's a great way for readers new or old to get to know me! 1. Fall is my favorite season! 2. I like eating non-breakfast food for breakfast. If you follow me on Instagram @homecookedandhandmade, you will see pizza for breakfast more than once. But it's not just pizza. I'll eat a chicken dinner, spaghetti, whatever I'm in the mood for. No silly food rules for me! 3. Cinnamon is my favorite smell. Perfect for fall, right? At Yankee Candle, my favorite candle scent is Home Sweet Home which is oh-so-cinnamony. I use cinnamon leaf oil in my essential oil diffuser all the time. I find the scent both welcoming and comforting. 4. For my birthday I prefer ice cream cake or cheese cake. Regular cake is not my favorite. 5. I enjoy writing about pretty much anything. It helps me think and I love to see words on a page that came from my brain and hands. 6. I enjoy music from the sixties and seventies. Think Beatles, Peter, Paul and Mary, etc. 7. I traveled to Northern Ireland and Scotland when I was a teen. Those two trips were some of the best experiences of my younger years. I would love to go back to both places someday. 8. I used to teach high school biology. I still enjoy science and reading about new developments. Genetics, particularly, has always interested me. 9. I never learned all the names of the parts of speech. I know how to write a sentence, but I don't do very well at diagraming and naming more than the simple parts of speech. The only time this has ever affected me negatively was when I was learning higher level Spanish. 10. God is important to me, but in different ways than ever before. I used to have a very narrow definition of what God was. My understanding has changed, but I still long for a connection with the divine. As a reminder, I'm participating in the Ultimate Blog Challenge. You can still join! Very cool! Many similarities between us! I love cinnamon as well! And I love the smell of Pine - I can stay in a Yankee Candle shop for hours just sniffing the various scents! Your comment about diagramming sentences made me shudder! LOL - I can't do that if you paid me! Thank you for your comments. For some reason in school my teachers brushed over a lot of the grammar and focused mostly on reading a lot and writing through process. I am glad my nose wasn't stuck in a grammar book...how dull! Hello, it is so nice to meet you. I also love Pizza for breakfast and Old School Music as my son calls it. Cinnamon is nice but I love Vanilla. I have't traveled so I envy you although there is still time for me to and one day I just might. Thanks! Nice to meet you, too :) I'm so grateful I got to travel in my youth...though I still feel young. I was part of a group called Operation Friendship. It really was one of the biggest highlights of my teenage years. I want to go back to the British Isles someday, among many other places. When my kids are a little older I think I'll make it happen again. As for scents, vanilla is nice as well. I agree. Thanks for the comment! I like breakfast for dinner, too! I just eat what I'm in the mood for. And it usually works as I'm the one cooking all the food. The trips were wonderful. I'm very grateful to have had them. Pizza for breakfast - I like the way you think! Yes! I'm always up for pizza! I've been known to have soup or pizza for breakfast. I never appreciated diagramming until I took advanced grammar in college (I was an English major) and began to see it as a puzzle to work. I like puzzles. Before that I hated it and never saw the point of it. Left over pizza from last night dinner... yes! Food rules, who needs them! 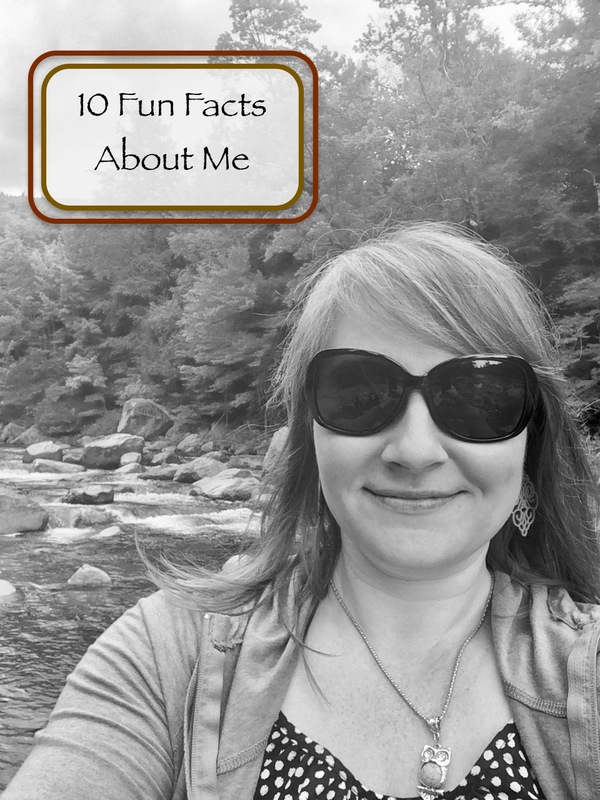 Jill thanks for sharing these facts about yourself. I always enjoy reading those. And # 10, I'm right there with you! You're welcome and thanks for stopping by! Number 10 is still a very vulnerable place for me, but maybe a little less so than a year ago. It's been interesting trying to navigate that one. Hi Jill, love the list! Beatles and Ice Cream cake and we are pals! Hope to read more posts! Thank you for sharing these random facts about yourself. I am also a fall lover, and enjoy non-breafast food for breakfast.